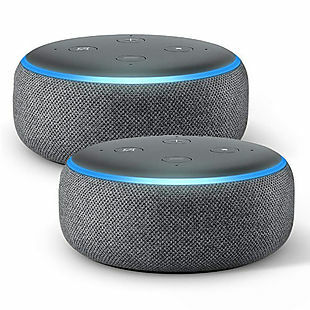 Get two of the new Amazon Echo Dot and get $10 off your order at Amazon, bringing the total to $49.98 with free shipping. The price drops after you add two to your cart. Note that they won’t be available for shipping until 12/15. This houses the Alexa digital assistant, which can play back streaming music services and news, as well as control other smart home devices, smart lighting systems, and more. This new version of the Echo Dot has a better built-in speaker compared to the previous model.